My doggy, Gatsby, loves this recipe. It’s not only healthy, but delicious and easy to make. Only 5 ingredients! Meatloaves are a must in our household. They are super easy to cook and can be made in bulk to freeze for a quick dinner. Just remember to stick it in the fridge to thaw before you head off to work! 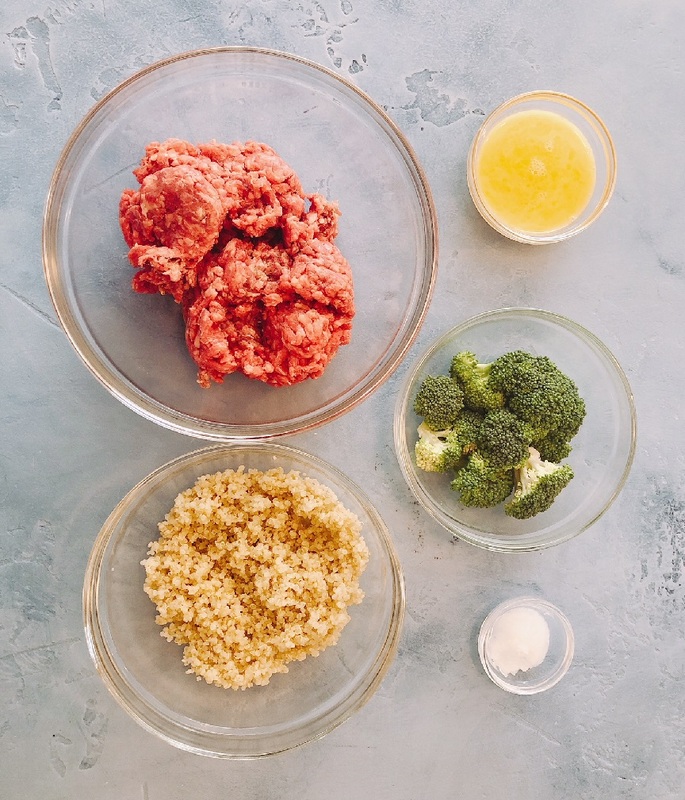 Here, ground beef is combined with quinoa, a grain that is high in protein and helps prevent heart disease, cancer and diabetes. Broccoli is included because cruciferous vegetables are full of antioxidants and protect against disease. Coat a 9 by 5 loaf pan with coconut oil or nonstick cooking spray. Boil a small pot of water and cook the broccoli in it for 3 minutes. Note you may also steam in the microwave. Transfer the broccoli to a food processor or blender and puree. In a large bowl, whisk the egg. 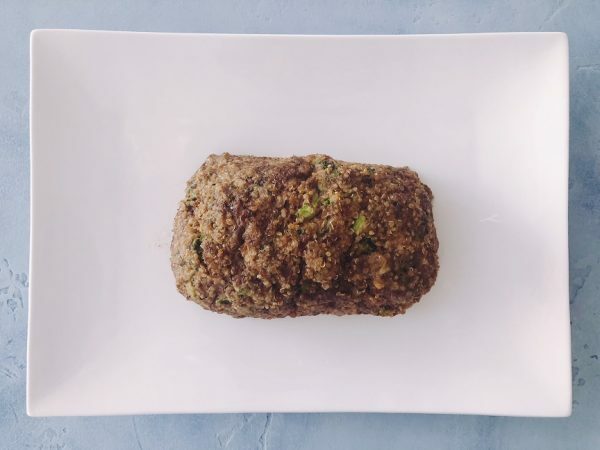 Combine with the ground beef, broccoli puree, coconut oil and quinoa. Shape into a loaf in the pan. Bake the meatloaf for 45 minutes, until the top is brown. Cool for at least 20 minutes and serve to your hungry pup. Note that as broccoli can be difficult for some dogs to digest, it is purred into the loaf. Coconut oil is then added as a healthy fat to improve your dog’s skin and coat, digestion and immunity.